We've handpicked a few fall must-haves that can be worn now and easily transitioned into the winter. 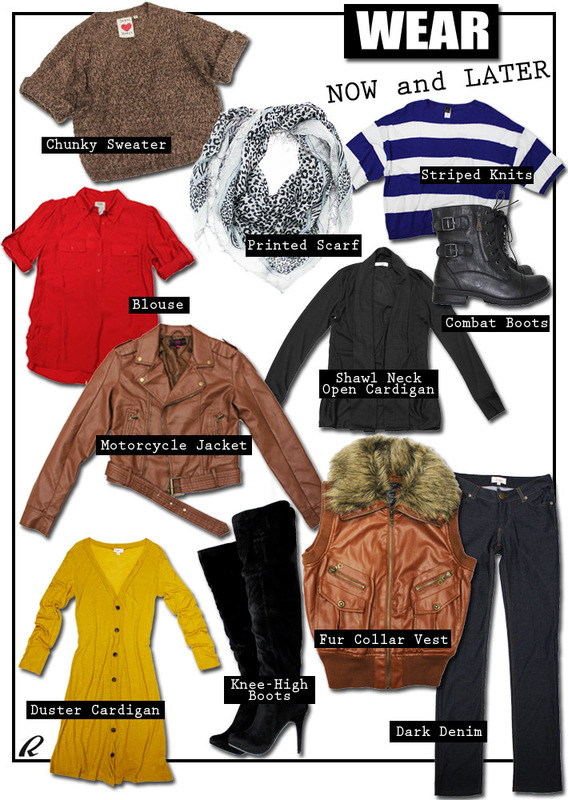 Cropped knits, cardigans, dark denim, button down blouses, boots, printed scarves, leather jackets and fur lined vests. Stay tuned for a post on how to transition these fall must-haves into winter later this week.